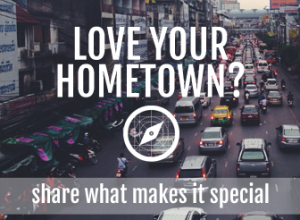 What’s unique about Anchorage? Why should we visit? 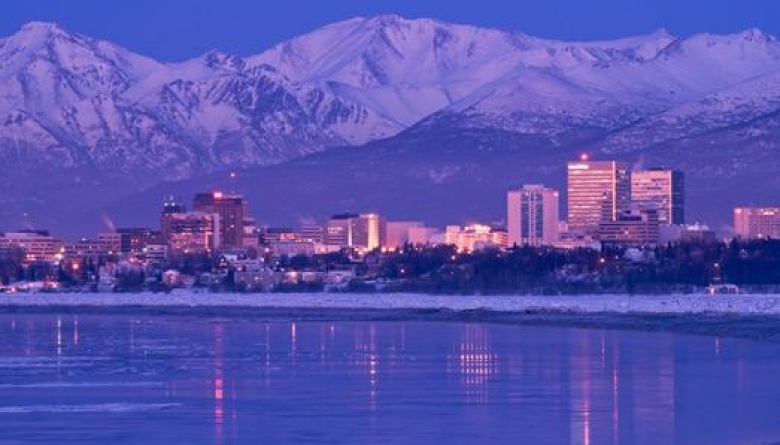 Anchorage offers big city life nestled amongst some of the most spectacular scenery in the world, providing a travel experience you can’t find anywhere else. Encompassing an area the size of Rhode Island, Anchorage is surrounded by waterways and snow-capped mountain peaks. Turnagain Arm to the south, Knik Arm to the west and north, and the Chugach Mountains to the east. On clear days, you can even spot Denali – Mt. McKinley to those from the Lower 48 – from town. 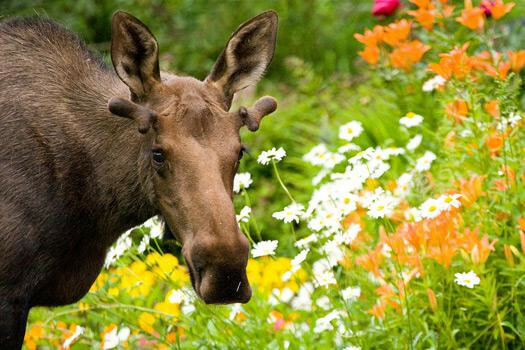 Moose, bear, eagle and other wildlife call Alaska home. 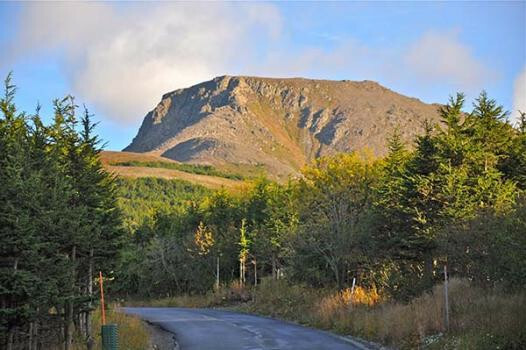 You’re just as likely to spot a moose as you stroll through the streets of downtown as you are hiking along any of the city’s 122 miles of trails. 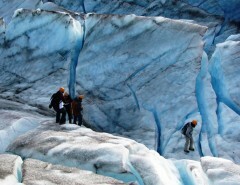 Against the backdrop of nature are world-class museums dedicated to Alaskan history and culture. There are casual and fine-dining restaurants that serve fresh caught Alaskan king salmon, halibut and succulent king crab legs in innovative ways, and art galleries displaying the handicraft of Alaskan artisans. And with 22+ hours of daylight in the summer months, there’s plenty of time to enjoy everything the city has to offer. This is no dress code. 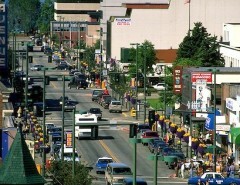 Anchorage residents pride themselves on being unique, and that trait plays a part in the city’s laid-back atmosphere and casual dress. But, it also serves a more practical purpose. The weather can change rapidly on any given day. So people often dress in layers that can quickly and easily be added and removed to suit the weather, and that is difficult to do if you’re walking around in nylons, business suits, and high heels. This isn’t to say that you’ll never see people in a suit and tie. Just know that they’re just as likely to be dining with somebody dressed in jeans and Xtra Tuffs, the ubiquitous rubber rain boots that are the unofficial footwear of Alaska. • The Lower 48: refers to the contiguous U.S. So does down South. 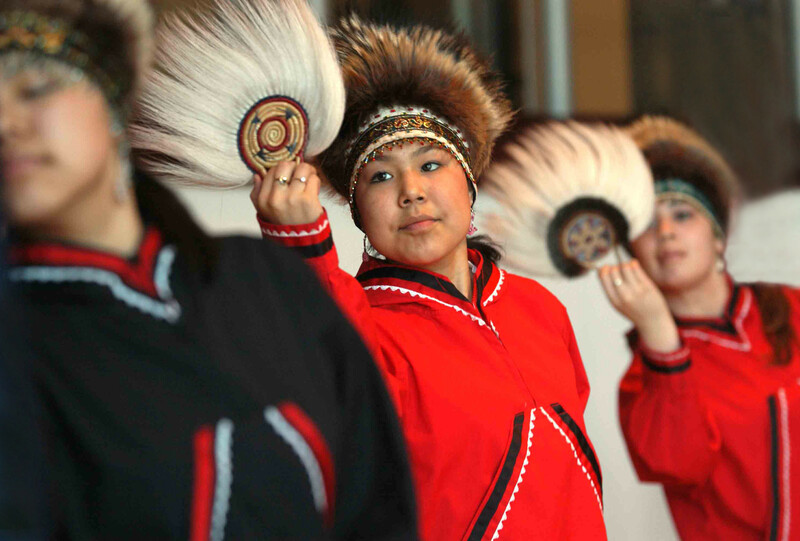 • Alaska Native or Natives: the first people who inhabited Alaska. • A native Alaskan: a person born and raised here. • Freddie’s: aka Fred Meyer. A store where you can buy food, clothing and fishing tackle all under one roof. • Termination dust: The first snow on the mountains, signifying the end of summer. • PFD: Permanent Fund Dividend, the annual check every Alaskan man, woman, and children receive in October. The amount fluctuates annually and is based on the value of the state’s investment of oil tax revenue. Westchester Lagoon: Originally a ski hill, this park on the edge of Turnagain Arm now has a play area for children, a path around the lagoon and intersects with some of Anchorage’s most popular walking trails, including the Tony Knowles Coastal Trail, a 22 paved multi-use path that ends downtown.